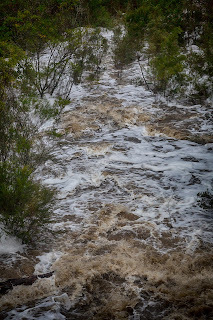 The Genoa River rises in the southern highlands of New South Wales near the little town of Bomballa, home to the platypus and the black snake. The Genoa is unpredictable and unforgiving. While flow (measured in the Genoa Gorge) is typically gentle, it experiences brutal floods that have scoured the river basin to bedrock. 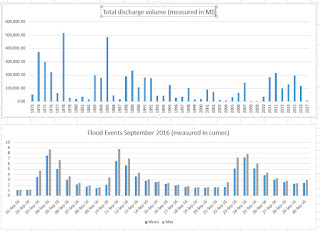 In September 2016, the river experienced 3 floods, each time increasing the river flow to 10 times normal level. 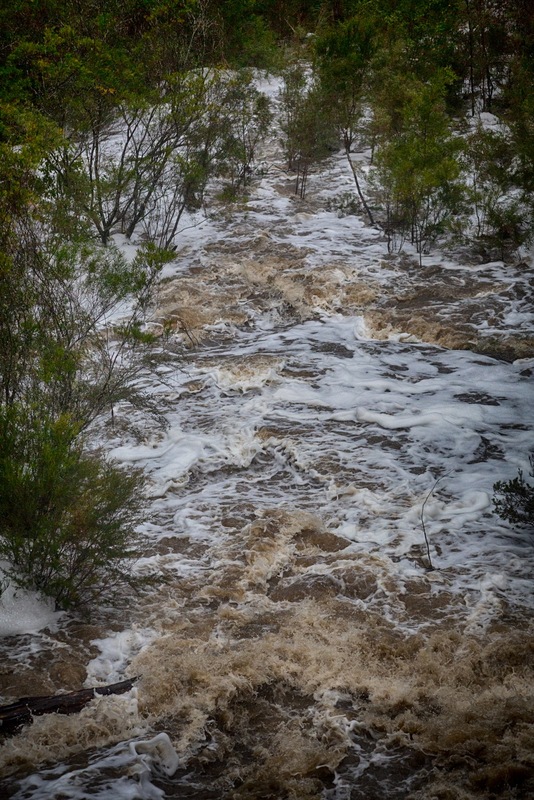 Each time, the river peaked quickly, and fell back about twice normal flow over four days. This is a river that can come to a stop one day, and flood the next. 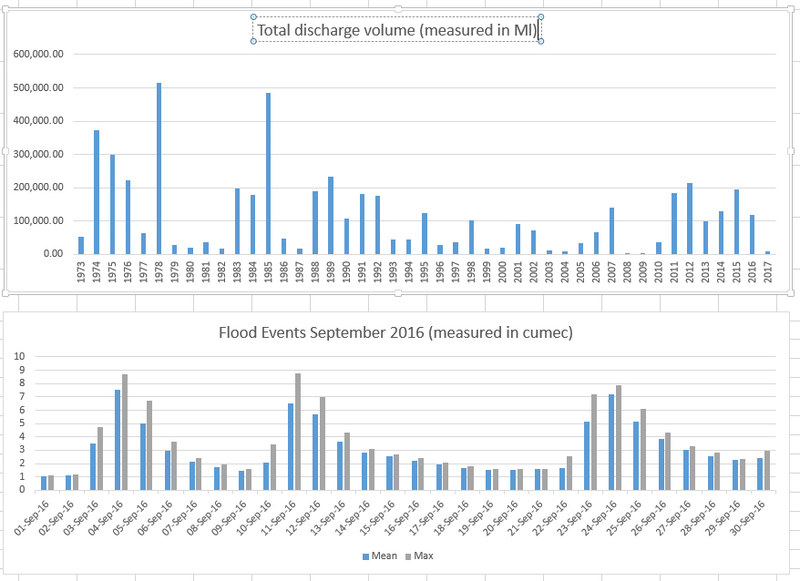 A single flood event (1978) produced four times the annual flow in a couple of days (graphs on flow included at end of this article). While the name Genoa conjures up the Italian port, the name of this river is far older. 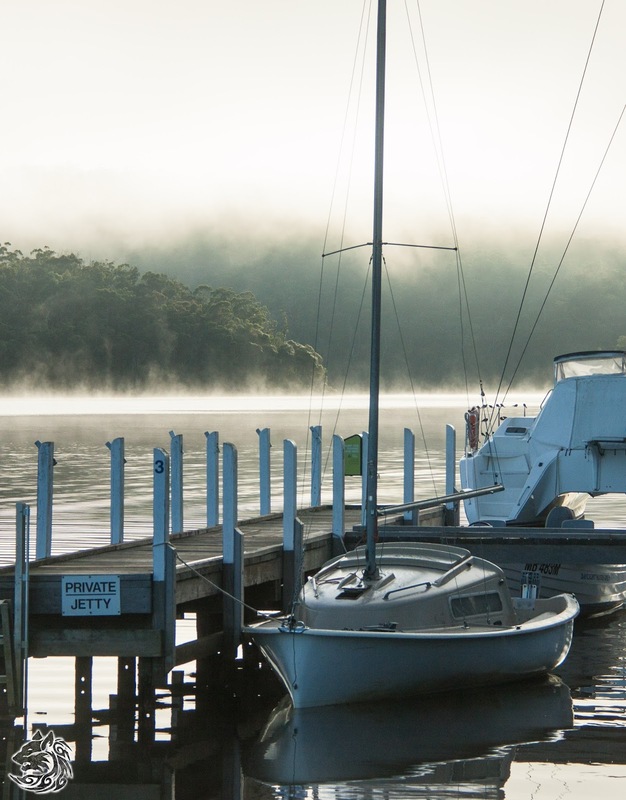 Most of the names in East Gippsland (other than the major rivers) are derived from the names of the First People. Genoa is an Anglicization of "jin-oor" (water - trace/path) related to the Yuin/Kurnai word "purd-oo" (land/bush - trace/path, a modern 'footpath'). Earlier European names (Bondi Creek or Yard Creek) were abandoned in 1972. One of the major tributaries of the Genoa, White Rock River, can also be traced to the Yuin "Nalbaugh", a reference to the exposed rock base of the river bed (another sign of the impact of flood). The other two major tributaries still have their first people names: Nungatta (? difficult - high place, perhaps a reference to the range); and Wallagaraugh. The names of these later rivers have unsettled meanings. 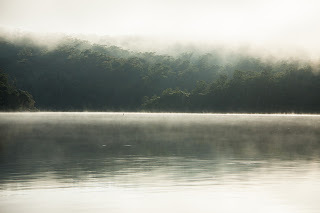 The rivers wander into Victoria through long gorges in the high wilderness area of the Coopracambra NP before sweeping through farmland to the extensive Mallacoota Inlet. 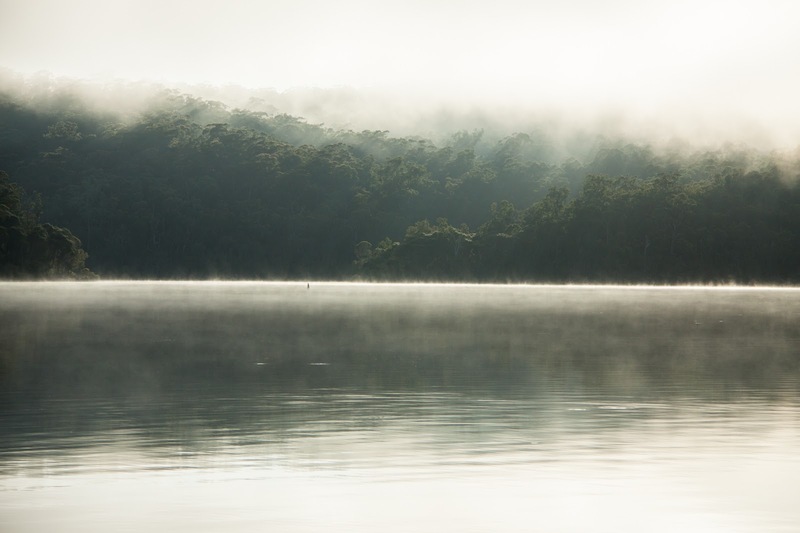 Mallacoota derives from 'white clay' once mined by the First People from the river bed near the sea and traded to other clans and tribes of the insular Kurnai to be fired into pipes. A cascading waterfall and swimming hole on the Genoa River near Rockton. 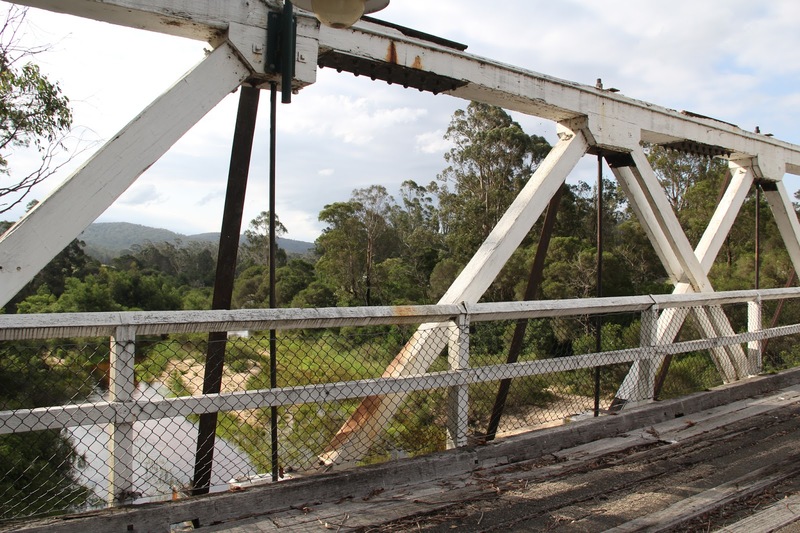 The Genoa River once marked the border between the colonies of New South Wales and Victoria. The border has now been shifted further to the south. The river rises in the mountains nearby. 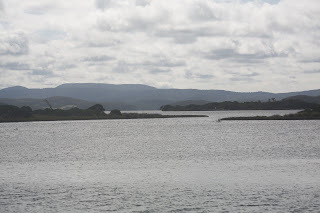 On the Victorian coast, in the tidal stretches, the river is a couple of hundred meters across. 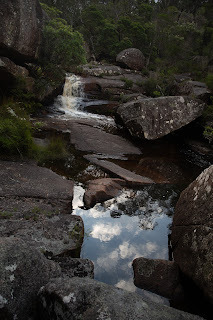 But up here, near the headwaters, the river most usually takes the form of a long series of pools connected by a slight stream. In the headwaters of the river is Rockton, a once a vibrant frontier farming community in the rocky headwaters of the Genoa. Today, the casual traveller might be forgiven for thinking that the area has faded from living memory into the plantation forests that now dominate. Some may remember that the area is troubled by an unsolved death. 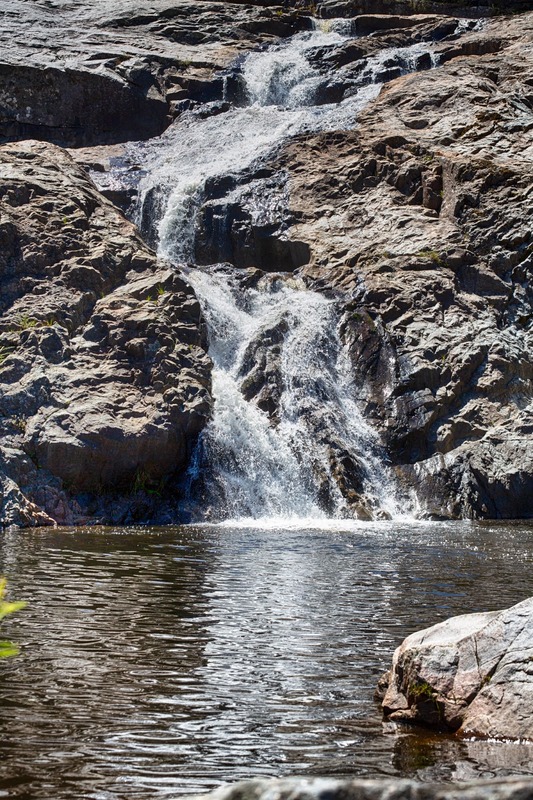 Rockton Falls was once a popular local swimming hole. Today, it sits unsigned along a 4WD forest track. In is best to come to this fall with lightning from an afternoon thunderstorm crashing around, hugging the side of a deep gorge, through a dark forest. In the old days, water was diverted from the top of Rockton Falls to a waterwheel to cut logs and mill grain for the small Irish community. In the old days, girls from the coast would spend a full day riding up from the coast to attend the local dances. The pool, like some of the other granite waterholes nearby, is deep and pleasant to swim in. 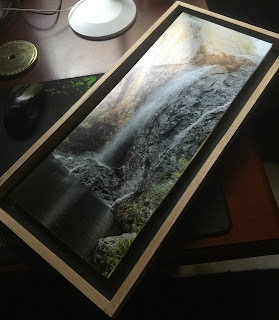 The falls enliven the place, and make it special. It is still visited by the young to cool off and laugh with friends, or foresters taking respite from a long day’s work. Tom, a young local, laughed off the water’s chill and resting with his friends on the warm granite rocks fronting the fall’s broad plunge pool. He grew up in the district and works with in the forests. 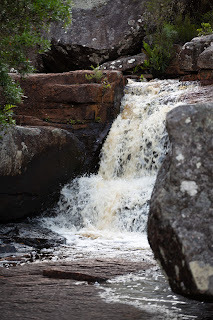 He said, sometimes, the falls stop running altogether (although the pool does not completely empty) but other times it can be a dangerous torrent. The coastal beaches have their allure, but it is nice to relax near home. Despite appearances, the Rockton community is still very much alive and the locals describe this place and its’ workings with pride. The Nalbaugh Falls cascade down the granite slope through a series of pools on White Rock River, part of the Genoa system. After a thunderstorm, this (and the forestry tracks that join it) can become raging torrents. These falls are seldom visited: many set out looking for them, but few find them in the maze of forestry tracks in the area (for this reason they are sometimes called the Secret Falls). Thunderstorms here are preceded by a zephyr (sweet west wind) cooling warming days. Hundreds of birds take to the air to catch the rise of insects that seek out the humidity. But the zephyr heralds thunderstorms; insects and birds can find themselves blown far by the chaos to come. The high eastern escarpment is an impenetrable barrier between the eastern Australian coast and inland. This is one of the few exceptions, although the gentle fall is much steeper than it looks. Still, if this seems a little like a pathway, you are right. 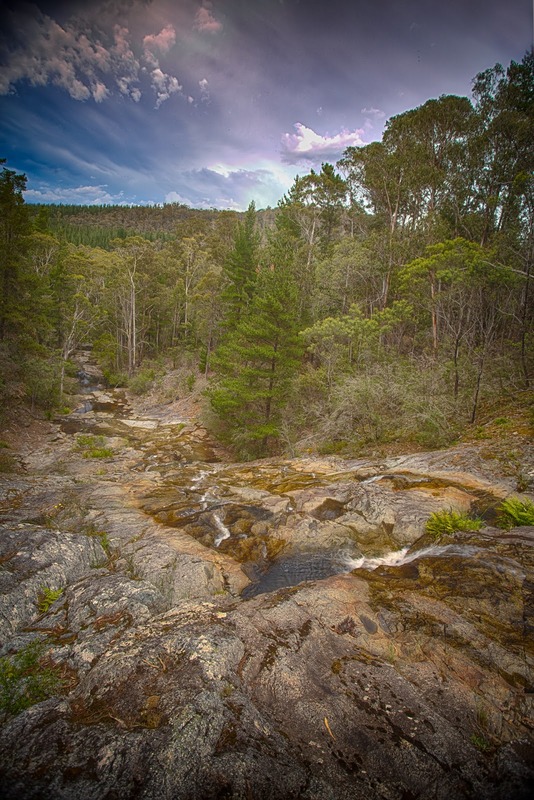 These falls are located on the White Rock River (Nalbaugh being the ancient Yuin language group word for White Rock). 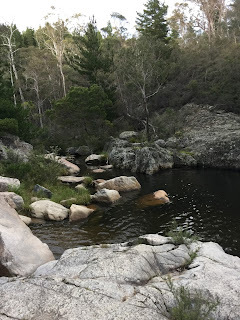 Before it joins the Genoa, the White Rock River is is part of the Yuin Trace, here the 365km Bundian Way, the Yuin path from the east coast to the Australian Alps. It is one of the oldest recognizable world 'highways', being in continuous use for more than 30,000+ years (periods of glaciation, perhaps, excepted). We know the history of the Bundian Way from Robinson's account of the travel of Al mil gong in 1844 and reports of the surveyor Clarke in 1852. I found an account of women riding from the sea port far below here to a dance at the top of the river more than 100 years ago. They rode all day, and changed into dresses at the hall. Like the first people before them, they used this waterfall as a road. 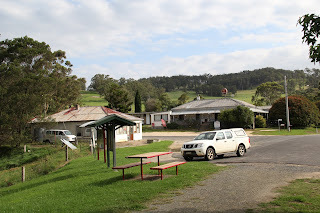 Close to the town of Bombala, it is only starting to appear on map. The forestry road system in the area is a potential risk to the casual visitor. Most visitors to this location will first travel to Myanba Gorge (which is signposted from the Monaro Highway). The roads here are dirt and will be challenging in wet conditions. From the Gorge, travel south on the Coolangubra Forest Way for about 8km and turn left onto Pines Road. Pines Road intersects with Quartzite Road after 2.5kms. Take the left fork of Quartzite for about 1km until you see a clearing on the right. Inside the clearing is a picnic table. You will hear the falls from the clearing - look for pink tape tied to bushes indicating a track to the fall. Exercise great care (snakes and slippery surfaces) - the angle of the fall changes slowly and you may get into difficulty on sloping ground. 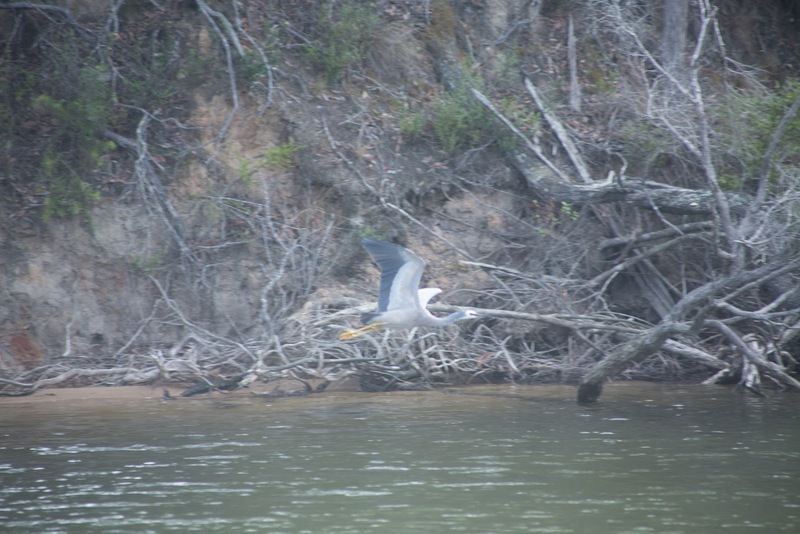 Further south, the Genoa River meets a number of tributaries, including Hopping Joe Creek. After rain or snow melt, the creek swells into a torrent of small falls and rapids capable of carrying whole trees away. In summer heat, it disappears into interconnected pools. Some say Hopping Joe was an old Scot adrift from his homeland. Others say he was a prospector left behind by the 1859 alpine gold-rush. He wandered the lonely highlands along the old colonial border between Victoria and New South Wales. It is not known whether he took his name from the creek (the first people custom), or gave his name to this lively tributary of the Cann. A superb horseman, in later years, he lived in a bush tent along the creek with an old grey mare. 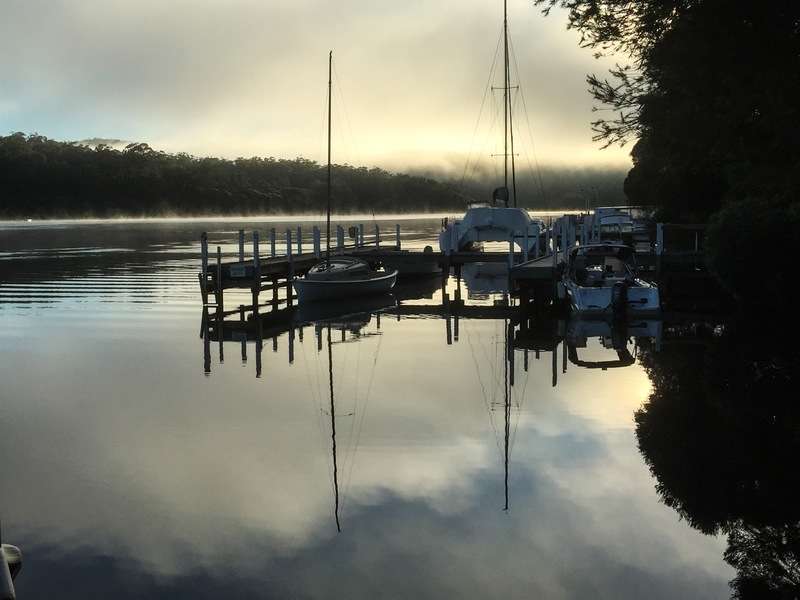 He is remembered imperfectly for providing hospitality once to a royal party travelling by horseback from Rockton to the Cann River. He is said to have prepared tea for a visiting Duke by first boiling creek water in an old billy can, blackened from long usage over fires. He then threw in a good handful of tea leaves, before removing the can from the fire. The creek still retells the story: how with a mighty circular swinging of the billy, Hopping Joe air-cooled the contents for drinking, telling the Duke that this was the 'Real Mackie' and it 'wouldn't curl a hair of any man's head'. 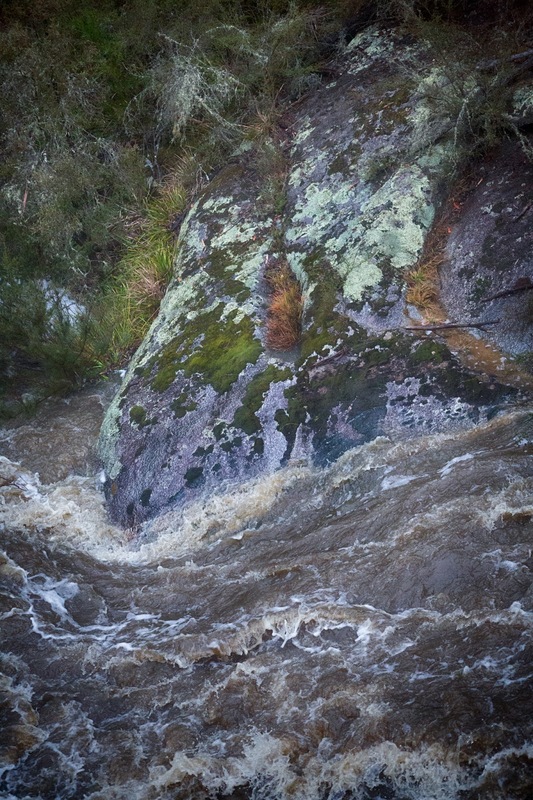 Hopping Joe’s voice can still be heard when the creek swells to a torrent and swirls through blue granite. You invoke his spirit when you boil water in your billy in the bush, and swing it in a circle before pouring tea. Downstream, the river enters two long gorges that are difficult to access. 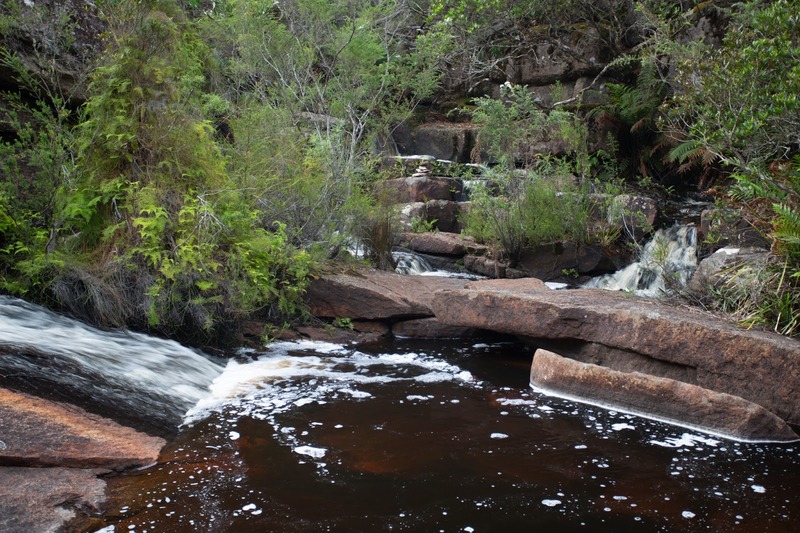 After rain in the highlands, the two gorges become 50kms of rapids (experienced kayakers have classified this as a Class III-IV waterway, making it a dangerous place for those with insufficient experience of wild river kayaking). The First People at this place had myths about a stone being that detached itself from the rocks and would trap unwary travelers: a Nargun. The myth is not without evidence. In the Genoa Gorge are fossilized footprints of an alarmingly large crocodile-like reptile. The fossils, 350 million years old, probably only survive because of the remote location and the lack of any systematic human occupation. The tetrapod footprints (flat-bodied, lizard-like creatures up 2-3m (8-10') long with stout legs) can still be found here are believed to be the oldest record of any land-dwelling vertebrate. Downstream of the gorges, near the rural village of Genoa with a campground a tributary of the River, the Genoa Creek joins the river near the old town of Genoa,which is slowly disappearing back into the countryside. 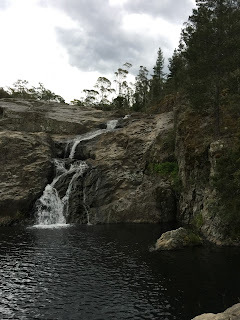 These falls, while close to the coast, cut a pretty sight flowing over and among granite rocks. 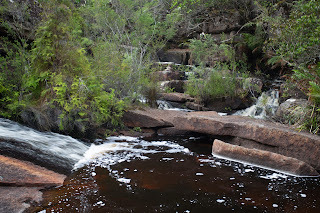 The falls are a little hard to find, but are fairly easy to access down a dirt track and a well formed path. We walked here and sat, wondering how to capture the span of falls, runs and hidden glens, until a passing dragon stopped and regarded us for a while. Close by you can climb the coastal range, and look back over the fractured mountainous landscape of the inland mountains. Here you may come across one of those rare gifts of the bush, much prized by the first people, a tailfeather of the lyrebird. 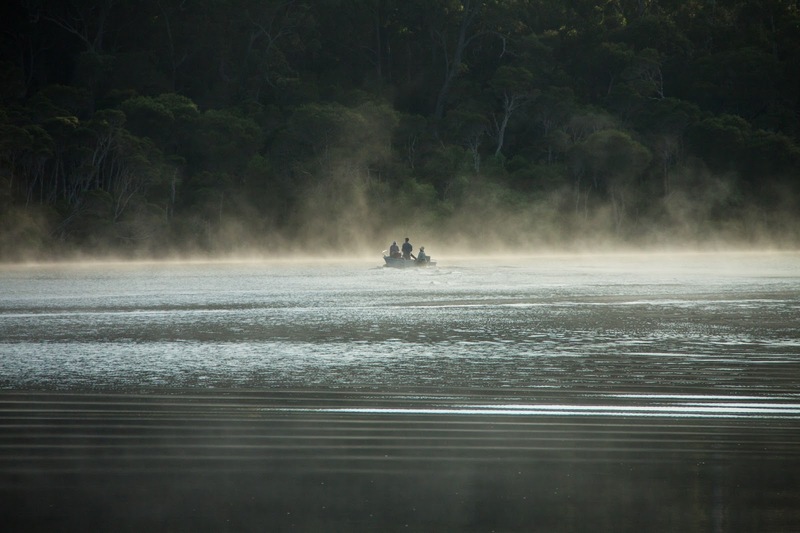 With 10kms left to flow, the Genoa River enters a series of coastal lakes, bounded by dense natural forests but tamed by navigation markers and occasional wharfs. 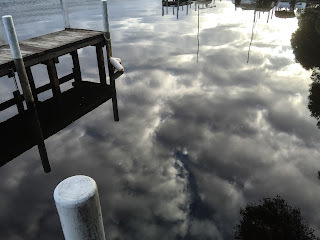 When the wind drops, the tidal waters of the lakes become mirror still. 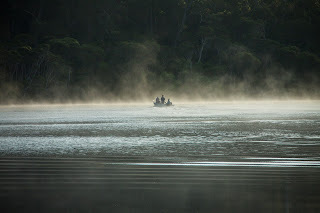 In the early morning mist rises and rainbows form at the end of this fossil pathway, sea eagles nest in dead trees along the inlet and patrol the waterways. All is not quite what it seems. 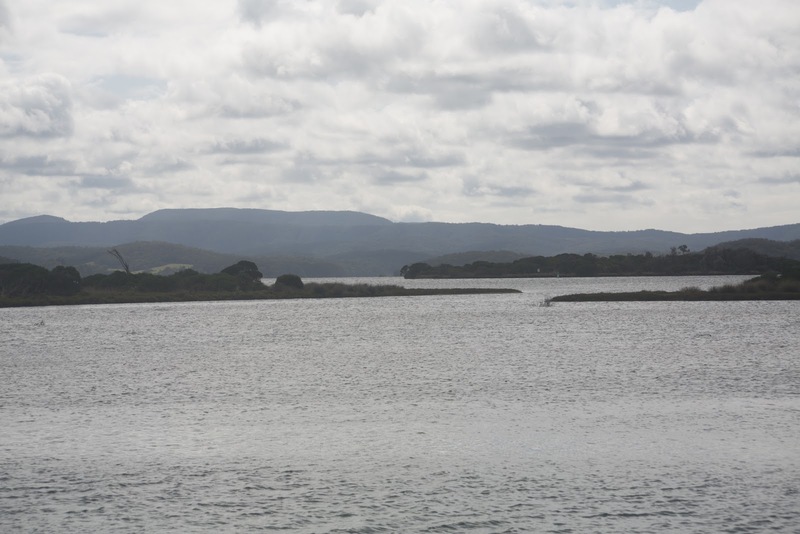 This is a wilderness without the edge, where the sea eagles dive from the sky for fish thrown by a local tourist operator, for the benefit of city photographers who cluster for the shot. Perhaps, once, the ancient tetrapods stalked here, watching rainbows in the mist. Long gone, today water dragons catch the first rays of the sun, and goannas wait in ambush for the houseboats that ply the network of moorings along the lakes. Lake edges suffer the gentle wash marking the passage of tinnies (small outboard boats) and wet yachts cutting their way from the coast to Gypsy’s Point. 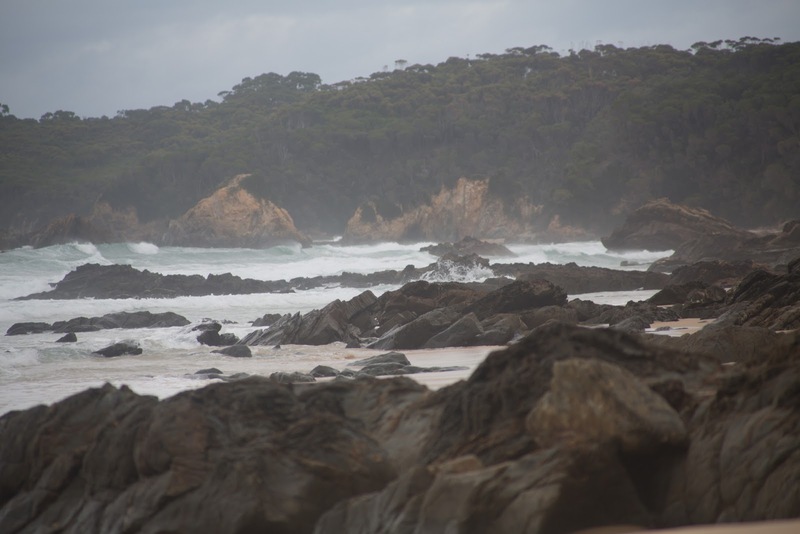 The point was named after a reprovisioning schooner that serviced the coastal towns, but which lies in some unknown grave offshore after a fierce gale. At the base of the inlet, a small tourist town clusters on the western side of the river. Visitors swim at small beaches along the coast, among twisted rocks and mountain sides decorated by the past. The rating system has been developed for SE Australian Waterfalls by weighing 5 different qualities, namely Access, Visible, Pristine, Safety, and Spectacle. These are presented unaggregated and aggregated in a single result out of 5. 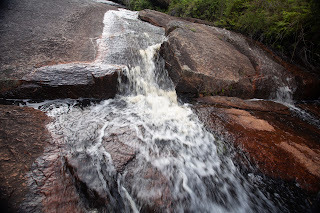 Most falls look good when running but arriving at a running fall is in the lap of the gods, so the quality 'Spectacle' is determined irrespective of flow. All waterfalls are unsafe. If you go to a fall, be prepared (slips, snakes, sun, spiders, and edges).